An exciting new opportunity is calling your name. The only obstacle is updating your old resume —the one that just never seems to format the right way in Microsoft Word. Our free resume templates take the frustration out of creating a modern, professional CV. Designed to be customizable, you can change colors, fonts, images and more without downloading a complex design program. When you're finished, print or export your resume as a PDF for easy sharing with your go-to cover letter. Drag and drop your way to excellence in our intuitive online resume builder, and you'll embark on the next chapter of your career in no time. Select a template to get started. A resume is the first impression you have the chance to make with a new employer, so you’d better make that impression count. 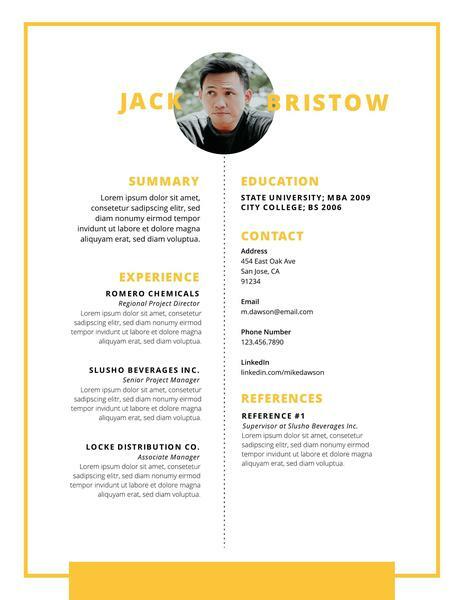 If you’re applying for your first job, a resume template will help you get started. 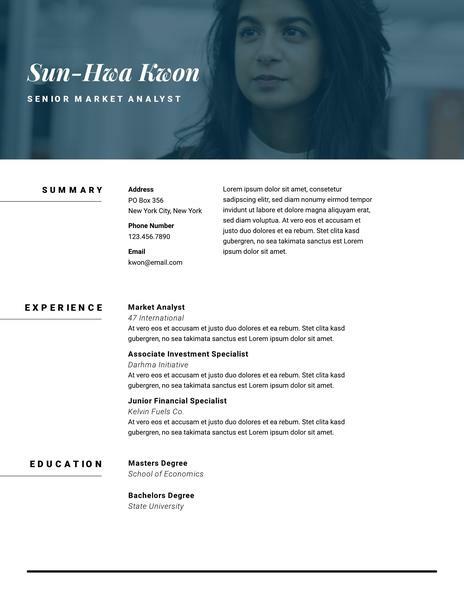 Even if you’ve been in the workforce for years, the free resume templates you find here ensure you’ll always include all the information you need to land that dream job. A good resume template won’t just tell you what to include. It will also show you what you can leave out. Employers often have to go through dozens (if not hundreds) of resumes from job seekers. They don’t have time to read through a highly detailed resume that fills up four or five pages. By using a resume template free of clutter, you’ll only include relevant information. In that way, you can be sure your resume will make an impact in a short amount of time. 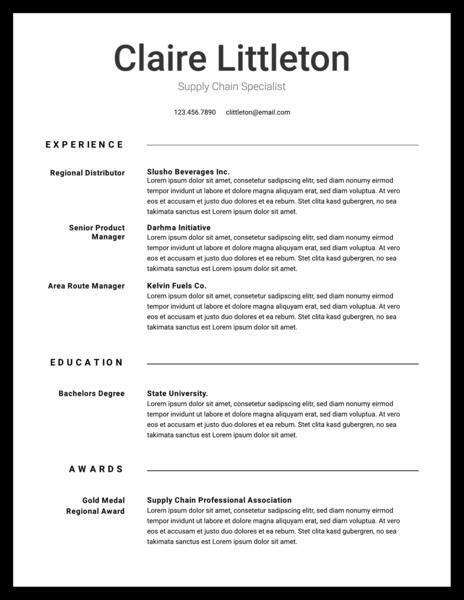 Resume templates can also help you format your information while providing unique visual flair that will help your resume stand out. They also help by giving you a design that looks professional. Templates help you put together a resume in minutes, but employers will think you put a lot more time into it. Lucidpress offers templates in several resume formats from simple resumes to modern and creative. 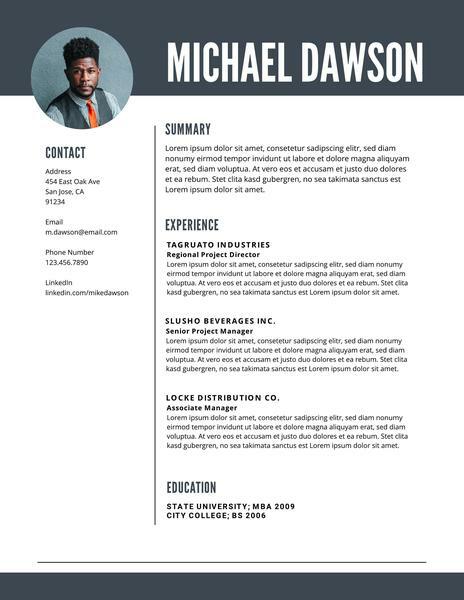 A resume template gives you a good starting point, but it’s still up to you to pull information together and present it effectively. Here’s a quick look at how to create a resume that will get you hired. For the reasons listed above, you’ll want to start with a resume template. 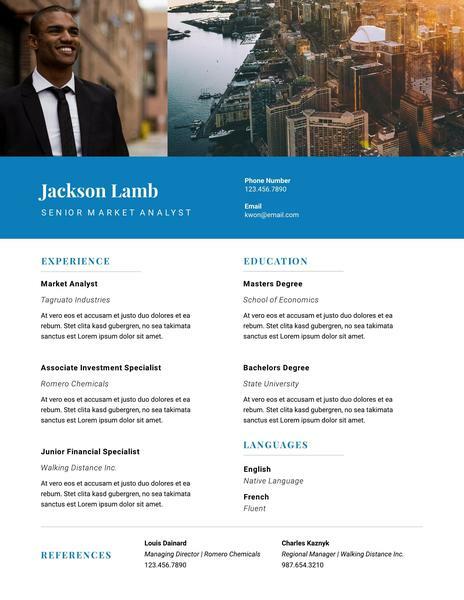 Lucidpress offers a wide variety of free resume template downloads for you to choose from. Pick the one that you think best captures your personality as well as the most appropriate one for the job you want. 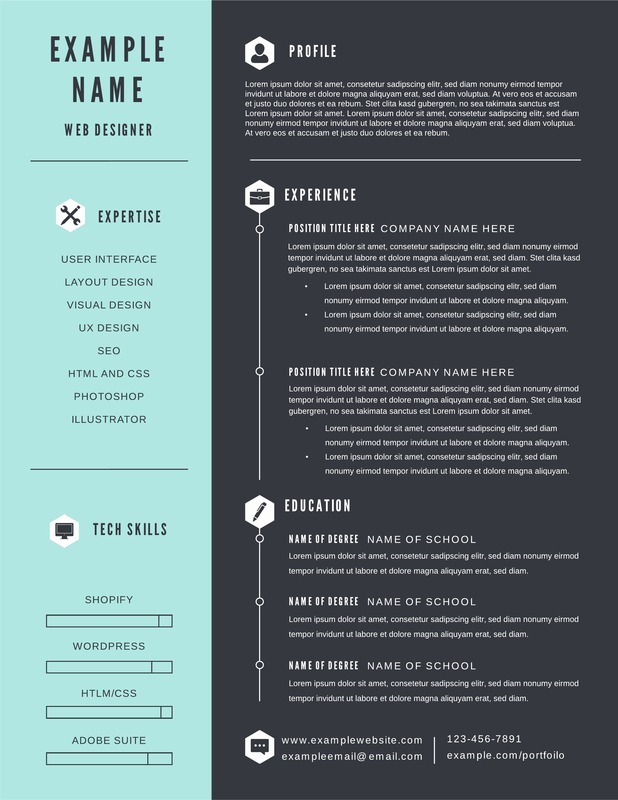 Once you know what template to use, it’s time to move on to the content of the resume itself. You likely have a lot of personal and professional information you want to share with your future employer. To do so, you need to organize that information first. Go through your career and write down your work history. If you’ve only held a few jobs, make sure to include all of them. If you’ve worked for a lot of different companies, include the most recent ones or those which are most relevant for the job you want. If your work experience matches the job you’re applying for, make sure that’s a highlight of your resume. Along with your work history, include other achievements that will impress. What awards have you won? What kind of education did you receive? Do you have special certifications or licenses? Make sure they’re all part of your resume. Even if they don’t directly pertain to the job, they can still demonstrate your skills. Most companies like to hire well-rounded individuals, after all. Match your skills and experience to the job as much as possible. Every job opening will come with a job description, which likely lists the responsibilities involved. Talk about how your skills work well with those responsibilities. Be as specific as possible. If you only speak in general terms, it will seem like you aren’t focused on the specific job a company is hiring for, and that will hurt your chances. Talk about how the organization will benefit from hiring you. A company wants to know how they’ll get better with you on the team. They want to improve. They also have certain needs to take care of, and they want to know how you’ll address them. If they can’t tell from your resume how you will take their company to the next level, chances are you won’t even get an interview. With that in mind, make sure each resume is customized for each job you apply for. If you simply make one resume and send it out to a bunch of businesses, it won’t be tailored to each job description. Even if you apply for similar jobs, each one may have different responsibilities and required skills. It will take more time, but if you craft a specific resume for each job, you will increase the likelihood of getting hired.